Dorothy Mae Suttle Stamper, age 67, of LaFayette, Georgia, passed away Sunday, January 20, 2019 at her residence. She was born in Walker County on Sept. 29, 1951 to the late Hugh Herman Suttle, Sr. and Lucy Mae Marsh Suttle and was a member of Happy Home Baptist Church. Dorothy was a graduate of the LaFayette High School Class of 1969 and was preceded in death by two brothers, Hugh Suttle, Jr. and Joe Hill Marsh. Survivors are her loving family; sons, Duane (Amy) Stamper of Rossville, Ga. and Phillip Andrew Bailey of LaFayette, Ga.; daughter, Crystal Ware of Chattanooga, Tn. ; grandchildren, Jahmal Ware, Keenon Ware, Jacob Ware, Amny (Alex) Adair, February Stamper, Zander Stamper; great-grandson, Hezekiah Ware; great-granddaughter, Aliyah Ware; sisters, Maxine Stallings, Priscilla Womble of LaFayette, Ga.; Linda Brundidge of Chattanooga, Tn. ; Lana (Greg) Moten of Chickamauga, Ga.; and Sarah Suttle of Atlanta, Ga.; brothers, Steve (Yvonne) Suttle of Atlanta, Ga., Frank (Vivian) Suttle of LaFayette, Ga.; sister-in-law Susie Marsh of LaFayette, Ga.; and a host of nieces, nephews, cousins, and other relatives. 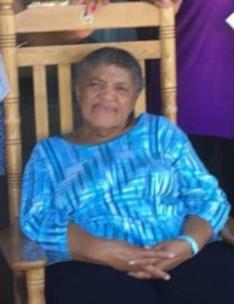 Funeral service for Dorothy Mae Suttle Stamper will be held Saturday, Jan. 26, at 3 p.m. at Happy Home Baptist Church, 704 N. Chattanooga Street, LaFayette, Georgia 30728 with Pastor Terrance Hambrick and other ministers officiating. The family will receive friends at the church one hour before the service. Interment will be at LaFayette Cemetery. Please share your thoughts and memories of Dorothy Mae Suttle Stamper at www.willisfuneralhomedalton.com.